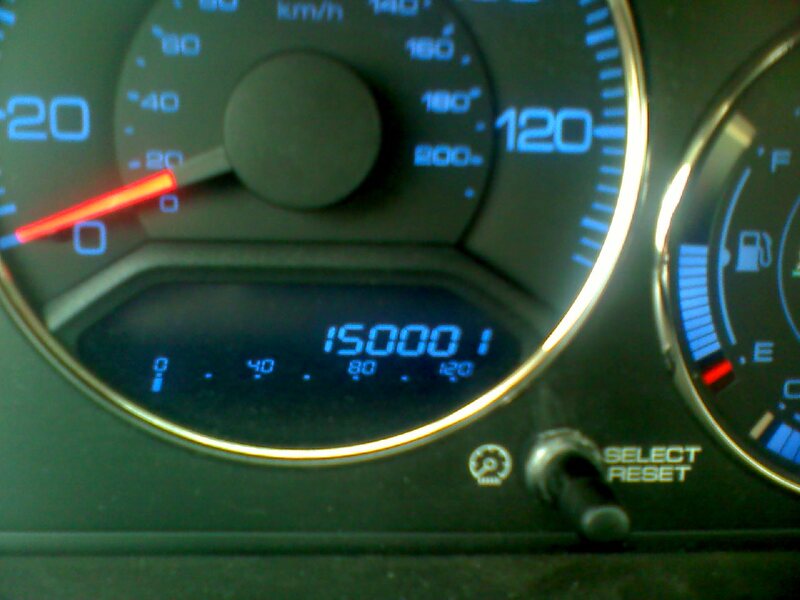 150 000 | Where have the days gone? Reached another milestone with my little hybrid! Well, this is amazing. Did you have to change out the battery pack yet for many hybrid haters use that excuse not to buy this revolutionary The Peoples Auto? Nope, the battery motor is still going strong. I'm still getting around 50 mpg on average, and that's driving on lots of hilly back roads. But it is a manual transmission, so that helps, too. The only complaint I've had during the 5 years I've been driving this car, is that last year I had to replace one of the catalytic converters, and this year the other one, but I think that was some sort of problem with the emissions system in general that Honda didn't do right on this model. Other than that, I have only good things to say about this car; it's got lots of zip, and I love to drive it – right past the gas stations! Yes, those manual trans do last a long time. I will keep your post in my long term memory the next time I here someone complying about a hybrid.